Winters cold is not the easiest condition for potted succulents, plants, bushes, and trees to stand up to. 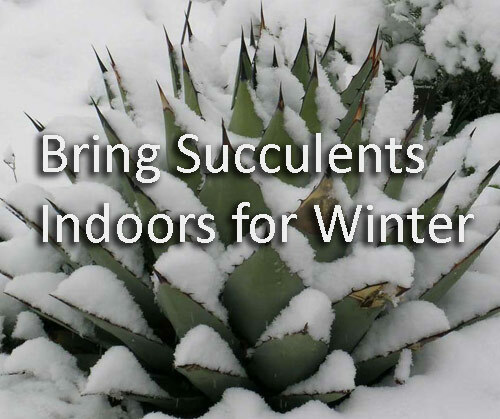 Most succulents are hard enough to keep healthy under normal weather conditions but winter brings a whole new set of issues. It at all possible it is a best practice to bring your containers of succulents indoors or at least into a garage or garden shed. 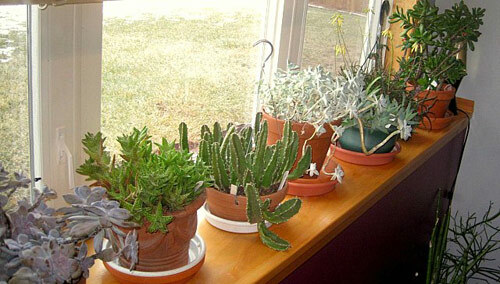 This isn�t a necessity but a helpful step to assure the potted succulents have the best chance of surviving the cold. If it�s not possible you can take added steps to mulch the potting mix, wrap the whole planter in bubble wrap or burlap or just let them tough out Winter and re-evaluate next Spring. If you can bring all potted succulents indoors give them one good watering before you do. That way they will be nice a moist and you won�t have to start with the watering process right away. This means you need garden saucers for each planter or you will have to move the pots to the sink to water them. 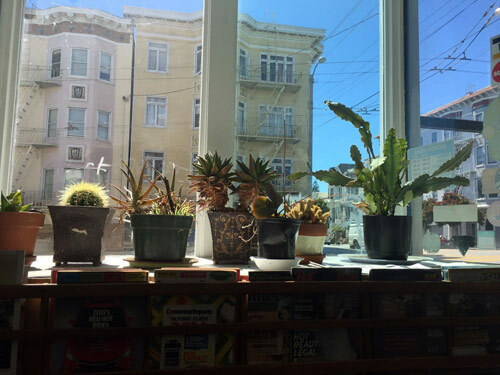 Like most houseplants, succulents need well, draining flowerpots or garden bowls. Now check the potting mix in each planter. If it�s compact and hard it�s best to replace it or at the very least work it to soften it up. All root systems like a loose potting mix to grow and expand in. Clean up the planters so that you don�t bring any bugs indoors. Remove old leaves, twigs and other debris that may be on, in or around the pot. 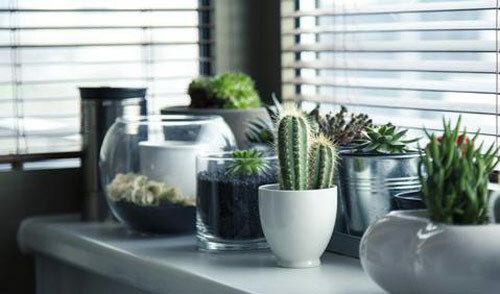 Place your garden pots in a sunny window, don�t over water, make sure it�s not too warm in the house and your outdoor potted succulents will give you a steady stream of beauty all thru the cold winter months until you move them outside again come Spring.